In collaboration with Youth Interactive, SBWPC has designed a T-shirt graphic to commemorate our 30 years of fighting for feminism, from marching in the streets to a seat at the table. 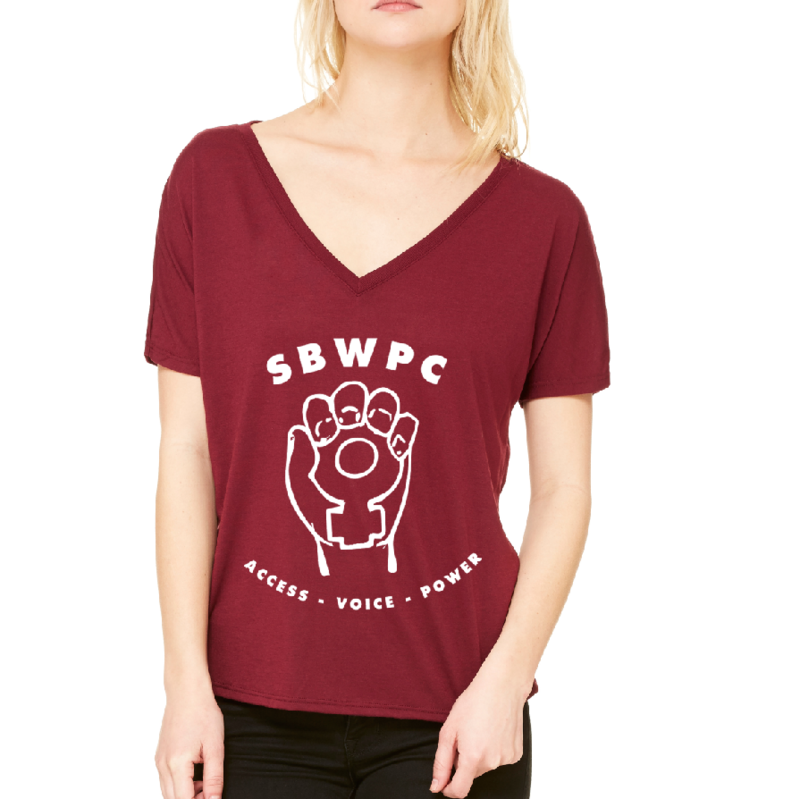 The fist represents the power and strong feminist voice that SBWPC has represented in our community. Two color options are available, maroon with white logo and gray with black logo. *Available sizes are S, M, L, XL and XXL. See sizing chart for details. 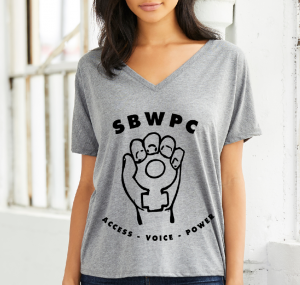 Order online and pick up at the next SBWPC event or contact Andria@sbwpc.org for pick up options. *Note size S is sold out but all other sizes are available. Click HERE to order your T-Shirts now.